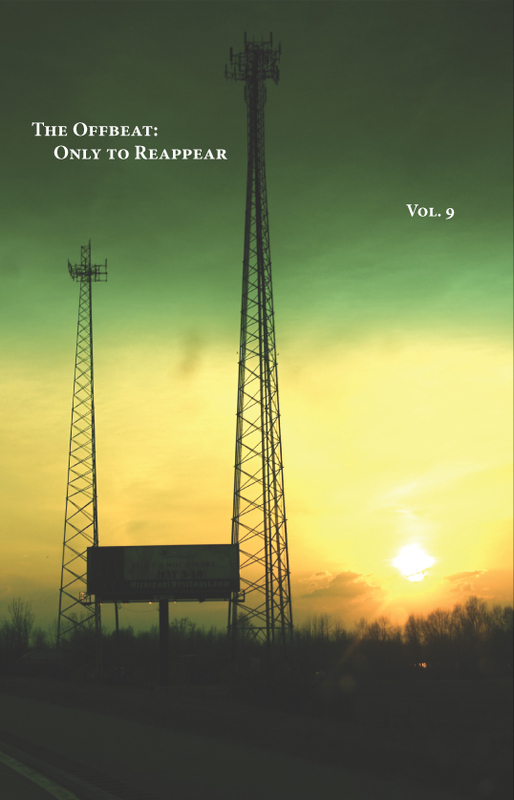 Only to Reappear is the ninth volume in the independent literary series The Offbeat, devoted to publishing a diverse collection of voices and to promoting contact and discussion among writers. The Offbeat is run entirely by Michigan State University undergraduates, and is centered in East Lansing. The mission of The Offbeat is to provide an alternative literary outlet for writers from Michigan and beyond, and to call attention to voices both emerging and established. The Offbeat: Only to Reappear includes stories and poems focusing on the commonplace to the extraordinary, and coming from a wide variety of writers. This volume seeks to find the shared characteristics between seemingly disparate material and investigates the connections that persist only to reappear.